BBC iPlayer will require users to login to stream content online within a matter of weeks. The broadcaster announced the new password controls for the catch-up service last year, with an aim to make the streaming platform more personal and relevant to users. Indeed, with personalisation a cornerstone of streaming services such as Netflix, BBC iPlayer is under pressure to upgrade its features and engage users more to face off competition from other services. While the BBC is already starting to release a growing number of programmes all-at-once as box sets, leading to a record-breaking February earlier this year, it is also looking to improve its infrastructure and interface. Part of that is ensuring that users find it easier to discover content they will watch, retaining eyeballs as much as possible. As of now, therefore, if you’re not already signed in with a BBC account, a window will pop-up when you go to watch and listen to programmes on BBC iPlayer and BBC iPlayer Radio, via websites and apps. “At the moment, you won’t be required to sign in if you’re watching on a Connected TV. But if your TV supports it, and you choose to do so, then you’ll be able to benefit from features such as starting to watch a programme on one device and picking up where you left off on your TV,” said the BBC in a blog post announcing the changes this week. “By personalising your BBC, we can help you find the best of public service broadcasting. By finding out more about you and what you like we can make better content, make it more relevant, and bring it to you more effectively,” added the Beeb. 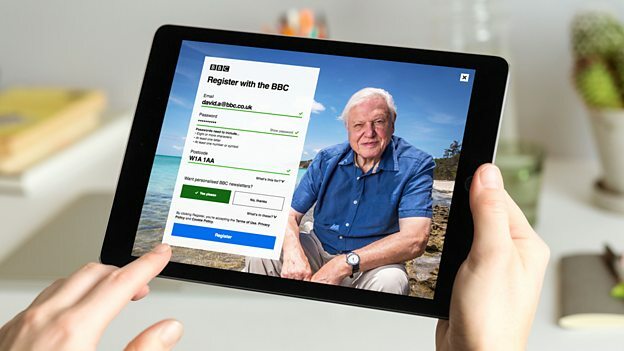 At present, 3 million people who are signed in are now using the BBC’s websites and apps per month, with 1 billion recommendations made to users in the last year. The move is already paying off. From October to December 2016, people who were signed in spent over 20 per cent more time watching, listening and reading content on the BBC’s websites and apps each week than people who were not signed in. 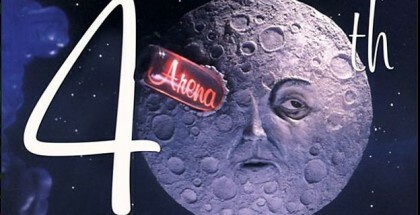 Another factor, though, is the need for the BBC to enforce the Licence Fee, with the law changing last year to require a TV Licence to use iPlayer – closing a loophole that existed for years, thanks to the outdated Licence Fee regulation, which was introduced long before online streaming became the norm. The BBC says that the requirement to log in “isn’t about enforcing” the fee, insisting that the broadcaster is “not going to use mass surveillance techniques or ask internet providers for IP addresses” to track users who say they have a TV Licence but do not. However, the BBC admits that “the information you provide us with can help TV Licensing ensure that people are abiding by the law and minimise licence fee evasion”. The government has also asked the BBC to consider a verification system for Licence Fee payers. The BBC this is something it is “continuing to look at”. You will soon need to sign into a registered account to use BBC iPlayer, the BBC announced today. From 2017, all viewers and listeners will need to sign in to use BBC iPlayer, BBC iPlayer Radio and other BBC mobile apps. The change is to “make its content, products and services more personalised and tailored to all viewers and listeners”, the corporation has said. There are concerns, though, that this is part of a step towards cracking down on those using BBC iPlayer without a TV Licence. Indeed, at the start of this month, new rules came into force that closed a loophole allowing people watching programmes online after they had been broadcast without a licence. Now, viewers must have a TV Licence to watch any content on BBC iPlayer, whether it’s live or on-demand. The BBC, though, has dismissed the idea that the two are linked. The overhaul to the Beeb’s user account system begins this week, with a new sign-in system being rolled out that is designed to be “more robust and secure”. Audiences, meanwhile, certainly seem happy with registering to personalise their BBC streaming: over 7 million people have signed into or registered with the BBC since last year’s introduction of user accounts, with 2.8 million people subscribing to sports alerts through the summer and 70 million Netflix-style programme recommendations served to users on BBC iPlayer. The BBC, meanwhile, has said that it will “only collect data needed to give audiences a better experience, improve its services and fulfil its responsibilities as a public service”, will “let users manage or delete their BBC account at any time” and will “never sell personal details to anyone and only use data commercially when people are using commercial BBC services, like BBC Store”.